As many had expected less than a month after the latest release of confidential documents obtained from an offshore law firm, UK chancellor Philip Hammond today unveiled some new measures aimed at cracking down on tax avoidance, in his second Budget speech. 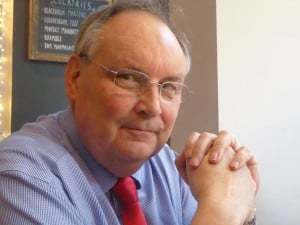 The chancellor had been under some pressure to tackle offshore tax avoidance after the International Consortium of Investigative Journalists published data culled from the Bermuda offices of the Appleby law firm, as reported by International Investment earlier this month. This was in spite of a forceful pushback from offshore centres and companies caught up in the Paradise Papers matter, which tended to focus on the argument that the only “crime” of significance had been the theft of the law firm’s documents rather than the lawful, if complicated, cross-border structuring of certain individuals’ personal assets. In a speech that contained few headline-grabbing announcements, Hammond said that HM Revenue & Customs (HMRC) would start to charge more tax on royalties relating to UK sales, when those royalties were paid to an entity located low-tax jurisdiction. The measure would, he said, raise about £200m a year. The announcement coincided with the publication today of an HMRC policy paper that contains 18 measures designed to combat “aggressive tax planning, avoidance, evasion and non-compliance”. The paper explains that the UK is “spearheading” international efforts to improve tax transparency, citing, among other things, its efforts to introduce the OECD’s Common Reporting Standard. Another key measure relating to the offshore financial services sector saw the back-dating period within which HMRC is able to investigate tax non-compliance by individuals increased to 12 years, three times the current four-year period. Reactions to the budget, as usual, varied, depending on the perspective of the individuals involved. DeVere Group chief executive Nigel Green was among those who declared himself happy with the chancellor’s handiwork, not so much because of anything he did in particular as because of what he might have included, but didn’t. 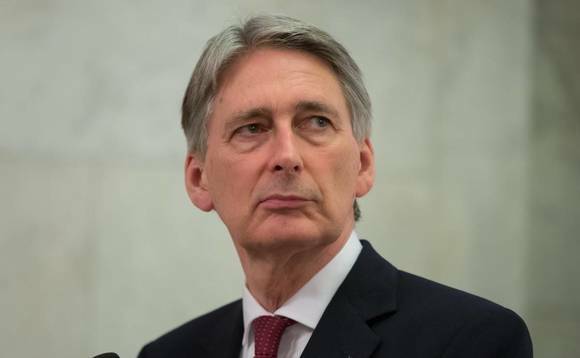 “Philip Hammond has done something extraordinarily positive in this Budget,” he said.”He’s not tinkered with pensions to raise cash,” which some observers had been predicting he would, something Green found “particularly remarkable” given the chancellor’s need “to raise £8bn”. In fact, the only notable change on pensions was that the lifetime allowance for pension savings will increase in line with the Consumer Prices Index, rising to £1,030,000 for 2018-2019. Green noted that successive British governments had deemed people’s “hard-earned retirement funds as an easy, ‘go-to’ option when it needs to bolster revenue”. The fact that the chancellor had seen fit to leave well alone meant, said Green, that finally the Treasury understood that pensions are “typically people’s most important asset”, and should not be seen as “low-hanging fruit to be plundered by the state”. make the current tax code as it applies to trustees “simpler, fairer and more transparent”. avoidance devices. There have been a number of reviews of trustee taxation in recent years, and this consultation may well cover a lot of old ground. One topic which might be the subject of scrutiny is the availability of capital gains tax hold-over relief on transfers of assets to trustees. The government will publish a consultation (on 1 December) on the design of rules expanding the circumstances under which a royalty payment to persons resident outside the UK will be considered to have a liability to UK Income Tax. The consequent legislation will have effect from April 2019. This is part of an ongoing strategy against corporate tax avoidance techniques involving the transfer of UK-generated profits to a tax haven through the mechanism of a royalty payment. The UK payer of the royalty will presumably have to deduct tax from the payment, and pay it to HMRC. Similar provisions were part of the UK tax code for many years, but were repealed some time ago. Plus ça change, plus c’est la même chose. (The more things change, the more they stay the same.) The consultation will consider the detail; the principle will not alter. beneficiary or a UK remittance basis user. The rules will apply from 6 April 2018. These changes have been well heralded, and have been the subject of previous consultation and discussion. beneficiary. The change will have effect from 6 April 2019. This seems a simple and welcome update and extension of existing practice. Why wait until April 2019? The government intends to tax non-residents’ gains on immovable property. This measure will broaden the UK’s tax base to include disposals of UK commercial property by non-residents, both directly and indirectly. It will bring all companies into UK capital gains tax on disposals of residential property, and bring everyone (individuals and companies) into the capital gains tax charge on indirect disposals of residential property. The changes will have effect on and after 1 April 2019 for companies, and on and after 6 April 2019, for those individuals chargeable to capital gains tax. An anti-forestalling measure to support these changes will have effect on and after 22 November 2017. The government had already introduced a capital gains tax charge on non-residents owning UK residential property. It seems that the intention is to extend the scope of the current legislation.